Pen Pals & Picture Books: #doyoureadwhatiread IT'S BACK! Well, it's December 1st and we all know what that means: THE OFFICIAL COUNTDOWN TO CHRISTMAS IS ON!!! Are you panicked, prepared, or perhaps in denial? Well how about if you had a little help gathering ideas for all the readers on your list? That'd be great, wouldn't it? Guess what-- we're here to help! So, find us on instagram! We're @penpalsandpicturebooks and you can also search #doyoureadwhatiread to see all the picks from this year and last! Starting today, show us your must own title for each category listed-- it's gonna be hard to narrow it down, right? I can't wait to see what people pick! Remember to use the hashtag and tag us! Let the sharing of the best books begin! Hooray! PS- If you're not on instagram you can still share! 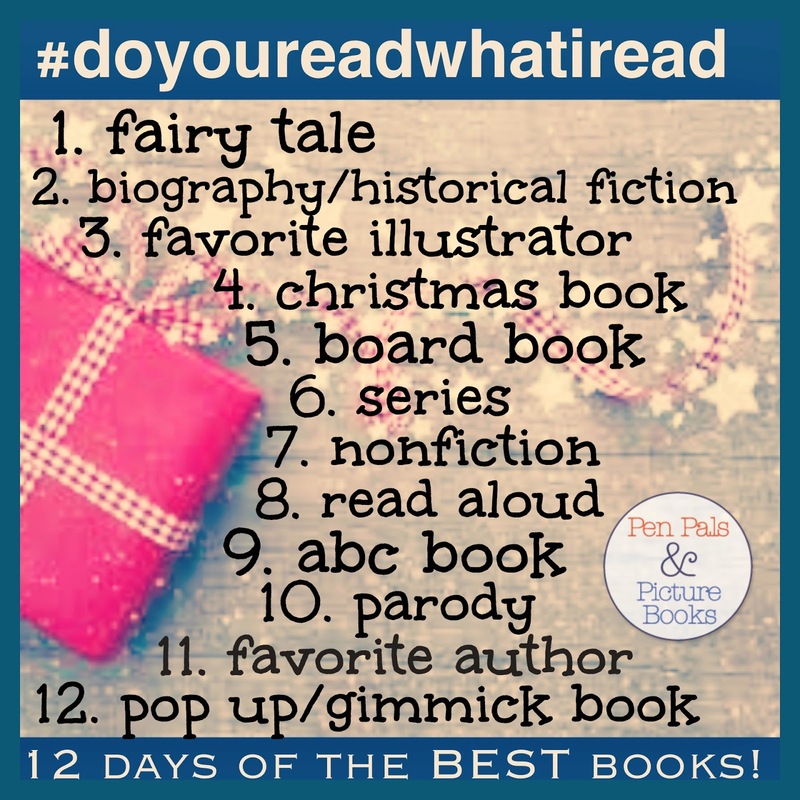 Tell us your picks here in comments or you could share them on our faebook page each of the 12 days too!